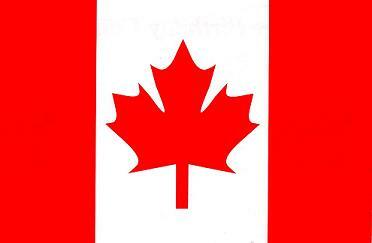 Hey everyone, while all the Americans out there are looking forward to the 4th of July, us Canadians are celebrating Canada Day tomorrow! So in the spirit of Canada Day, I’m reviewing some of my favourite Canadian retailers for you to check out. Roots: Roots opened its first store in Toronto in August 1973 and has since become one of Canada’s biggest and most recognizable companies with over 120 stores across North America (and of course, online.) Roots specializes in casual apparel for men and women, as well as leather bags and kids clothes. Roots sells clothes that embody the spirit of Canada and are also extremely well made and well-priced. With worldwide shipping, the online store is the gateway for international shoppers to own items from this iconic brand. I personally have bought tons from Roots since I was young and have always loved their sweatpants and yoga pants that last for years. Hudson’s Bay: The Hudson’s Bay Company (also known as The Bay) is the oldest commercial corporation in North America (in continuous operation for 344 years) and one of the oldest in the world. HBC began as a fur trading business and today owns and operates retail stores throughout Canada and the United States, including Hudson’s Bay, Home Outfitters, Lord & Taylor and Saks Fifth Avenue. Let me first say The Bay is my go-to shopping destination for just about anything, both online and in-store. They sell everything imaginable, and its a bit hard to put into words just how much Canadians love The Bay. The Bay’s online shop is every bit as great as their retail stores, with exclusive sales and promo codes to help you save a bit of cash. Whether you want high-end designer clothes or cheap basics, home goods, skincare, etc. The Bay has you covered. Danier: Danier began as an independent family owned design house, manufacturer and retailer in 1972 and has been a favourite of Canadians looking for quality leather jackets ever since. Now, Danier finally has its own online boutique for you to shop. Along with beautiful leather jackets for men and women (made in Canada), they also have handbags and apparel, all made with their high quality leather. I personally own three Danier jackets and after years of wear, still look brand new. I highly recommend checking them out, and if you sign up for their newsletter, you can score 10% off! Right now, only Canadians can shop straight off their website, but you can still browse and place an order by phone if you’re outside of Canada. Jacob: Jacob is one store that we have in most of our malls here in Canada, and I don’t think people give them enough credit for the clothes they have. Their online boutique Jacob.ca offers a great collection of ready to wear clothes for women, both casual and business-appropriate. Jacob was founded in Montreal, Quebec 35 years ago and has been a go-to for many Canadians for work-appropriate, modern clothing at low prices. I started shopping at Jacob for my first job interview and have returned many times for both work pieces, and casual clothes that are good quality and under $100. Unfortunately right now Jacob is only shipping within Canada though. eLUXE: eLUXE is a Canadian boutique based in Toronto that focuses on magazine-like content as well as selling a huge collection of designer clothes. eLUXE is Canada’s answer to designer shopping, which is fantastic because it allows you to shop for items usually only available in high-end department stores or at American stores like Nordstrom without the hassle of shipping items across the border and worrying about paying extra fees. eLUXE also has magazine-like articles that feature many prominent Canadian fashion bloggers giving styling tips and fashion advice. eLUXE is focused on selling designer clothes, but they also have their own label, By eLuxe, that has much more affordable options for the same trends (everything is under $60), like these distressed overalls for only $45. One of my biggest reasons for shopping at eLUXE is to locally buy Rebecca Minkoff purses (one of my biggest weaknesses!) as well as designers like Finders Keepers and Clover Canyon, which I have an extremely difficult time finding in Canadian shops. Also a big plus: they ship internationally. Hope you check out some of these amazing retailers. Happy shopping and happy Canada Day! This entry was posted in Website Reviews, Weekly Tips and tagged canada, canada day, canadian retailers, danier, eluxe, HBC, hudsons bay company, jacob, reviews, roots, they bay.